We review First Class: All Aboard The Orient Express, a modular card game published by Z-Man Games. 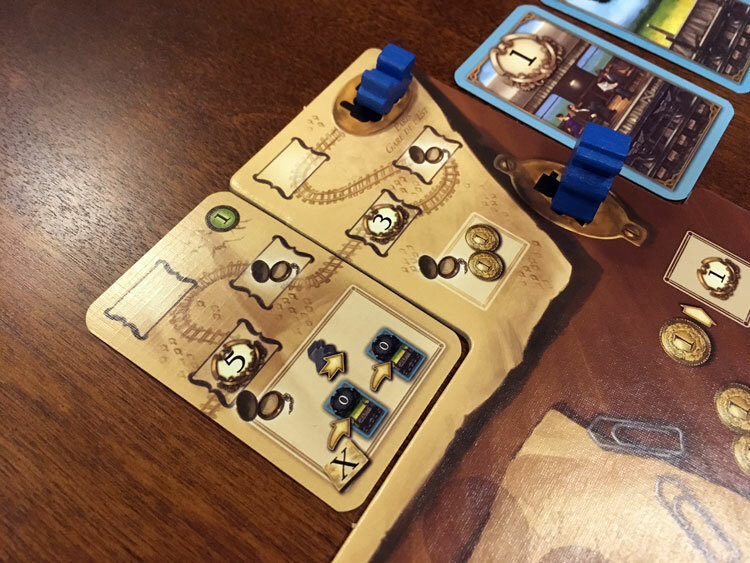 In First Class, players are trying to earn the most points through a series of rounds of action selection and tableau building. One of the best detective movies of all time is Murder on the Orient Express (1974) which is the film version of Agatha Christie’s famous novel of the same name. The performances that each actor brings to their characters are unforgettable. The perfect opening flashback is further enhanced with amazing art direction, staging, cinematography, and writing. Helmut Ohley, a designer known for his train games, tries his hand at a card game with some ties to this detective story. Can it elicit the same response from this reviewer? 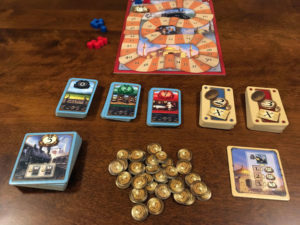 First Class: All Aboard the Orient Express is an action selection, tableau-building card game 2-4 players that takes 20 minutes per player to play. It plays best with 2 players or 4 players. First Class places players in the roles of rail barons building out trains as they compete for prestige. Players will expand their trains and upgrade train cars, as well as possibly gain points for extending the reach of their trains. The player with the most victory points from a variety of sources wins. Included in the game are five card modules. By combining two of these modules, players can have different experiences each time they play. The basics of play are all the same, but the way each module works can change scoring opportunities as well as limitations. Here’s an early train with conductor on the second card. Train cars must go in descending order from left to right. Over six rounds, players will be selecting cards from a common display. This display features 18 cards (3 rows of 6 cards) no matter the player count. Each round, players will select a single card from the display and take the associated action. Players will eventually take 3 cards for each round. After a player selects a card, if the number of cards selected from the row is equal to the number of players (3 players, 3 cards selected) then the remaining cards in the row are discarded. 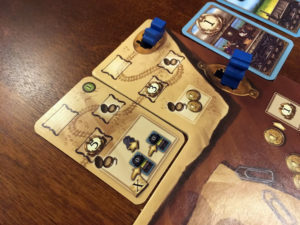 Actions on the cards vary by module (see below) but usually these involve placing new train cars, upgrading them, manipulating scoring, or collecting additional ways to score. As players extend their train with cars, they can never have a lower value train car to the left of another train car. This means that players are improving their train car values from left to right. After every other round, a scoring phase happens. Depending on how far a player’s conductor meeple has moved over their train cars, they can score points. At the end of the game a final scoring phase has players counting up the number and type of cards they selected. End game scoring cards then resolve awarding points for the different types of cards taken. The array of card choices with each turn is exciting. The key to how well First Class stands up against other games is how well the modules are designed. The modules work together wonderfully. The game is always familiar, but each new set of rules make for interesting variations with each play. Overall the game flows smoothly and easily. There are lots of courses of action to pursue and an eye on what opponents are trying to achieve is a must. With so few actions over the course of the game, pulling off big point jumps feels mighty indeed. Even in this game, there are very few strategies that are straightforward. Working out which cards will best aid a strategy is puzzly and beautifully challenging. The module options and combinations can make for just the right game feel or really drag into a lackluster experience. Each group should decide which modules make for their own best style of game. This review addresses each with some thoughts below. A player’s personal train meeple can traverse a track filled with bonuses. A good opening module. It has interesting features that enable players to pull off big combo plays. It allows players to take cards which delay their main bonuses until after a player has completed certain upgrades with their train cars. As this is a very strategic and straightforward module, it works well with Module B to learn the game. Many of the other modules include contracts in their cards as well. These cards are placed above or below other cards. They double either the points of a train car or the effect of a section of the train line. This is a highly strategic module and works well with any of the others. This is the weakest of the modules. It features cards that let players take Evidence tokens with a certain number of fingerprints or (rarely) some points. Players also take a secret initial card that indicates whether they are the murderer or an innocent passenger. At the end of the game, the player with the most fingerprints is arrested and loses the game outright. If this player is not the murderer, the player with the murderer card gains 20 extra points. As interesting as this sounds, it doesn’t play well with two players and rather than engage players with a true murder “mystery”, it’s really just a bit too random, forcing players to take certain actions should they draw high values for fingerprints. It’s also possible that there are no murderers in the group with less than four players, which makes for a slightly unjust ending. Players should use this if they like more push-your-luck style games. The various components in the game are good quality, typical of Z-Man’s attention to detail. This is another interesting module that also plays similarly to Contracts, Switches and Mechanics (below). It’s fine and offers interesting choices between money or points in the game, but is otherwise unremarkable for all the depth it intends to offer. 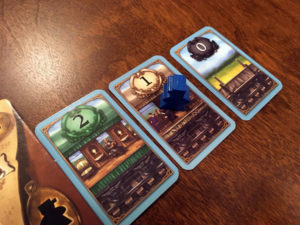 This module allows for cards to be placed in between the two trains and has some interesting rules for gaining extra points or upgrades to the train cars. However, as it mostly functions like position limited Contracts from module A, it feels a little samey with a different mechanism. In addition, there aren’t enough ways for the two types of cards in this module to work together. As a result the potential opportunities within that physical space of the player board are really underutilized. First Class is an excellent game. Although not really a simulation or traditional card game, it offers a familiar fountain of a points style of gameplay. This form comes at a cost though, because along with the exceptional modularity, the aesthetic aims towards a points engine that gets in the designer’s way of some module creativity. 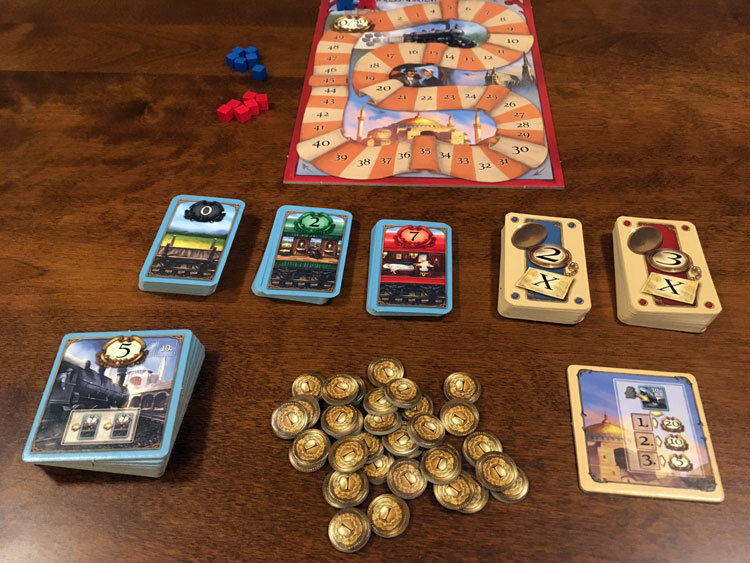 The bear in the room (Russians have bears, not elephants) is how similar this game is to Russian Railroads and if players who like their rails with borscht will love it all the same traveling to Istanbul. Thematically and mechanically it feels similar, but this is a very different game. 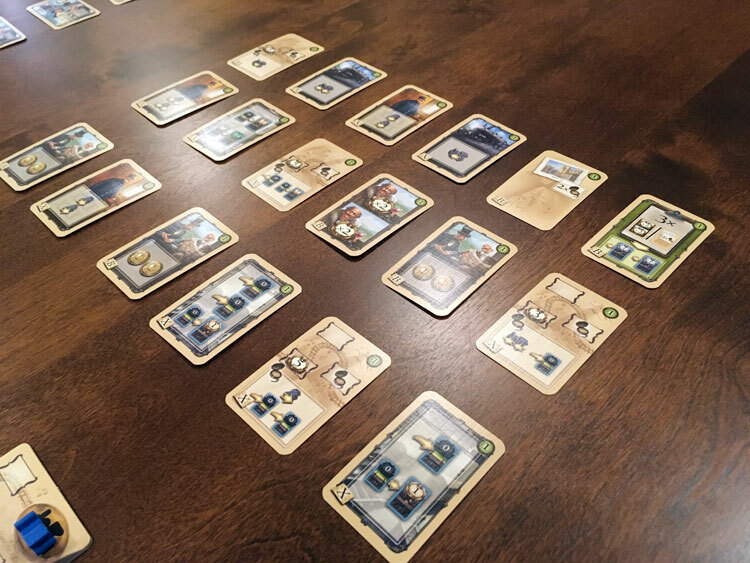 First Class has the tough decisions of a heavy game, but with only two trains and one train line to manage, players have a lot of flexibility from the beginning, which is also good. 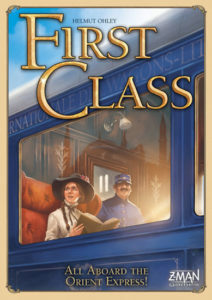 Overall, First Class achieves a nice companion niche alongside Russian Railroads. 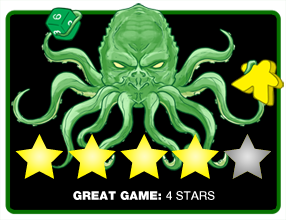 Final Score: 4 Stars – A clever game feeding players the ability to create massive amounts of puzzly combos yielding big points.